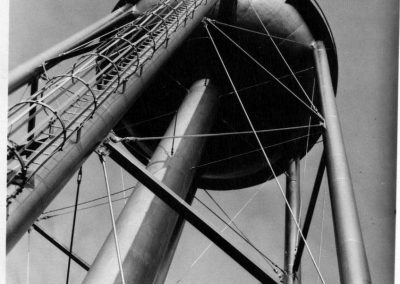 Since its completion in the spring of 1948, the 150,000-gallon capacity St. Olaf Water Tower has attracted its fair share of mischief-makers. 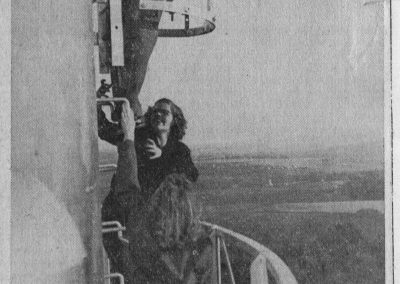 Students climbing to the top leaving their mark or engaging in clandestine activity have been the norm for each generation. 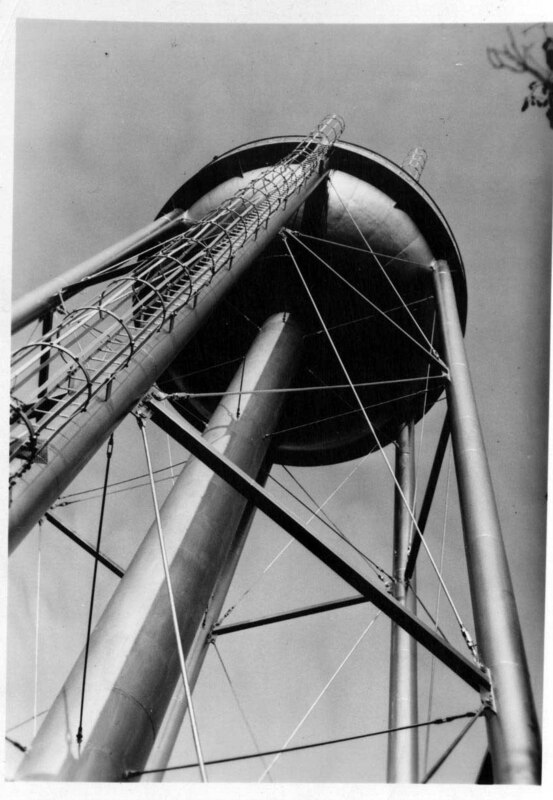 The 1953 yearbook, for instance, noted, “The water tower has gained fame from its abuse and frequent paint jobs.” One notable event occurred in 1974, during the college’s centennial observance, when someone painted “Happy 100th” in bright yellow letters. 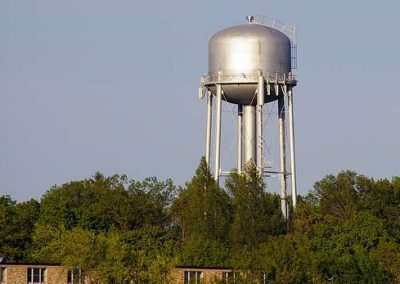 Students on campus shared mixed emotions about the water tower’s defacement. 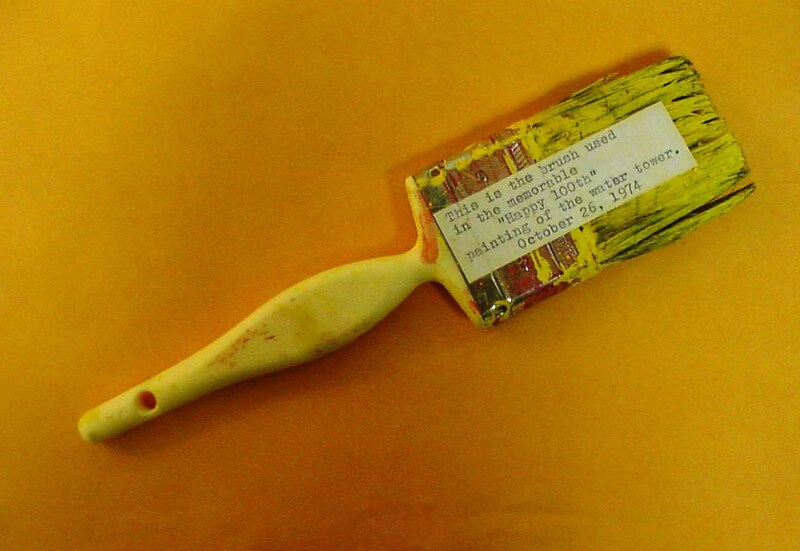 Some thought the perpetrator(s) should have shown more respect and understood the negative effects, including the expense of repainting the tower, estimated between $6,000 and $20,000. N.B. 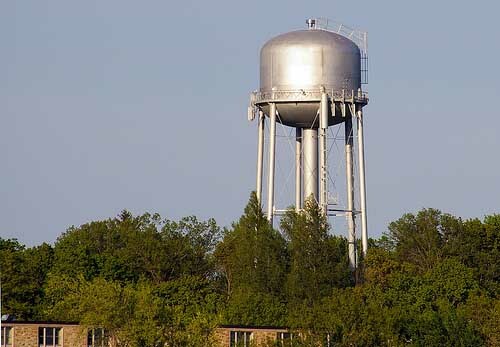 A full rehabilitation and repainting of the water tower took place in early June 2015. 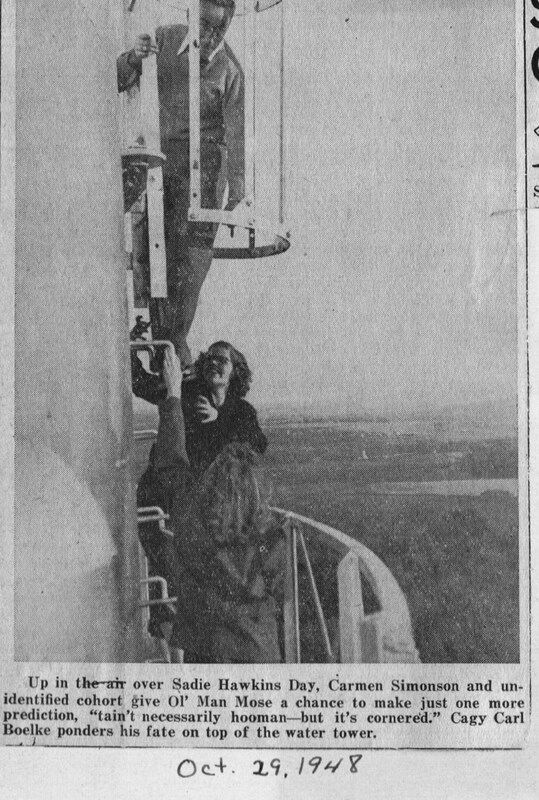 The project included miscellaneous structural repairs, cleaning, sandblasting, and painting of the interior and exterior surfaces of the tower. On Top of the World, Ma! Climbing to the top is no small matter. 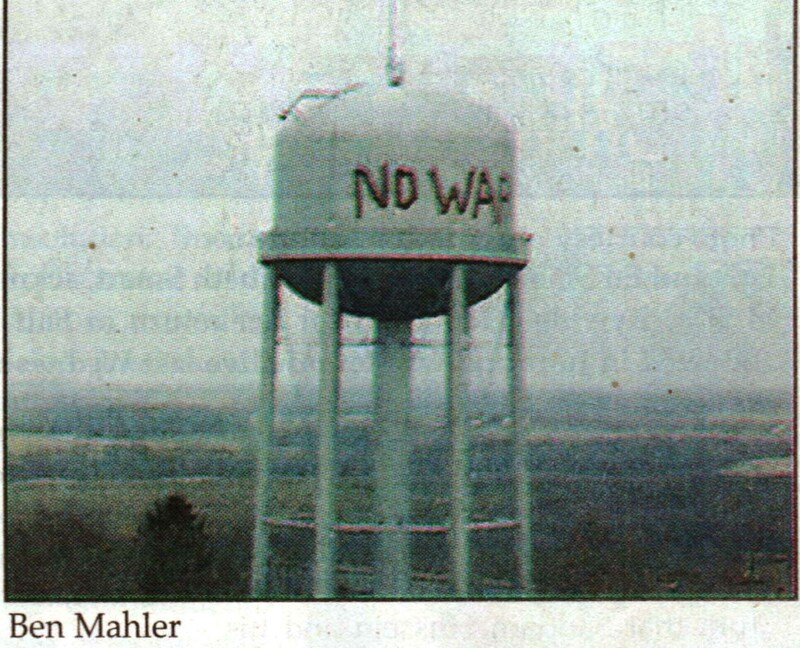 A shiny coat of paint given in 2003 after the “no war” incident. 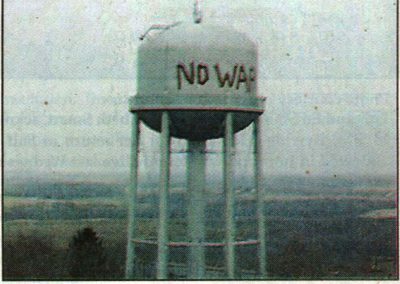 Students on campus shared mixed emotions about the water tower’s defacement. Some thought the perpetrator(s) should have shown more respect and understood the negative effects including the expense of repainting the tower, estimated between $6,000 and $20,000. 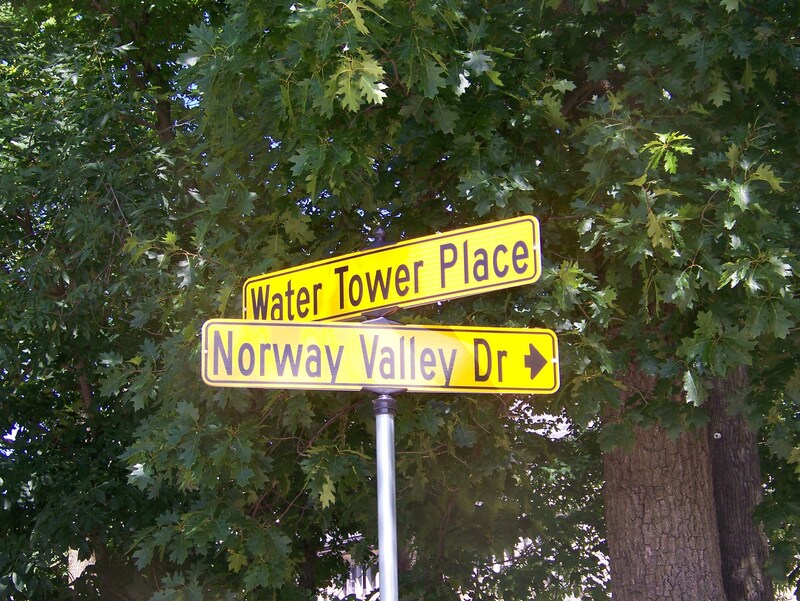 Believe it or not, the street signs and designations are a recent St. Olaf invention, ca. 2013. 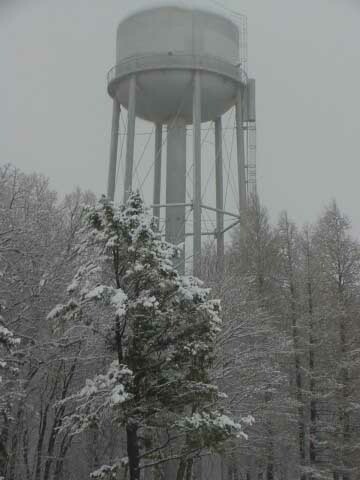 Water tower in winter setting.